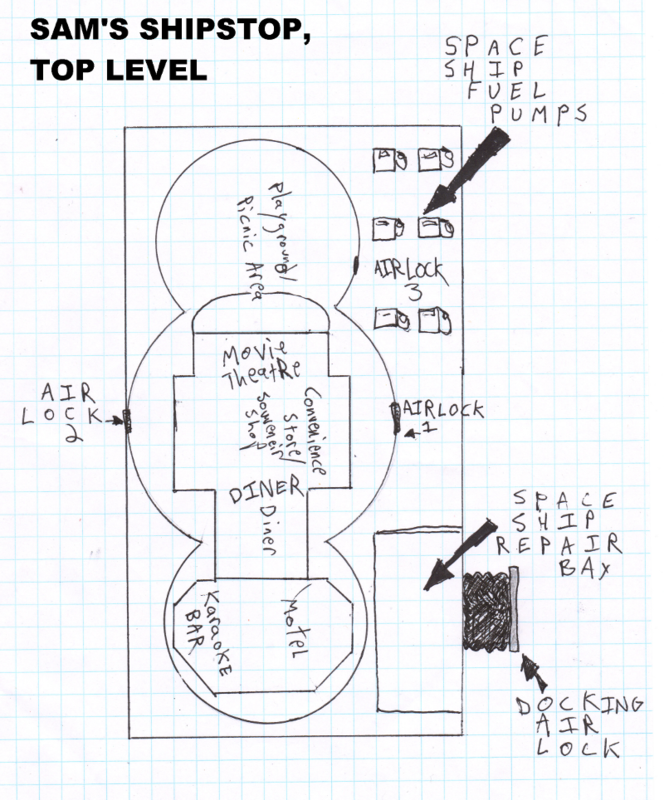 Here's a look at the basic layout of the Shipstop. The Shipstop was built into and on top off an enormous asteroid. It's comprised of several floors and rooms. You could get lost in there!